So you’ve been a Turntable Kitchen Pairing Box subscriber for a while now and your limited edition singles are starting to collect. 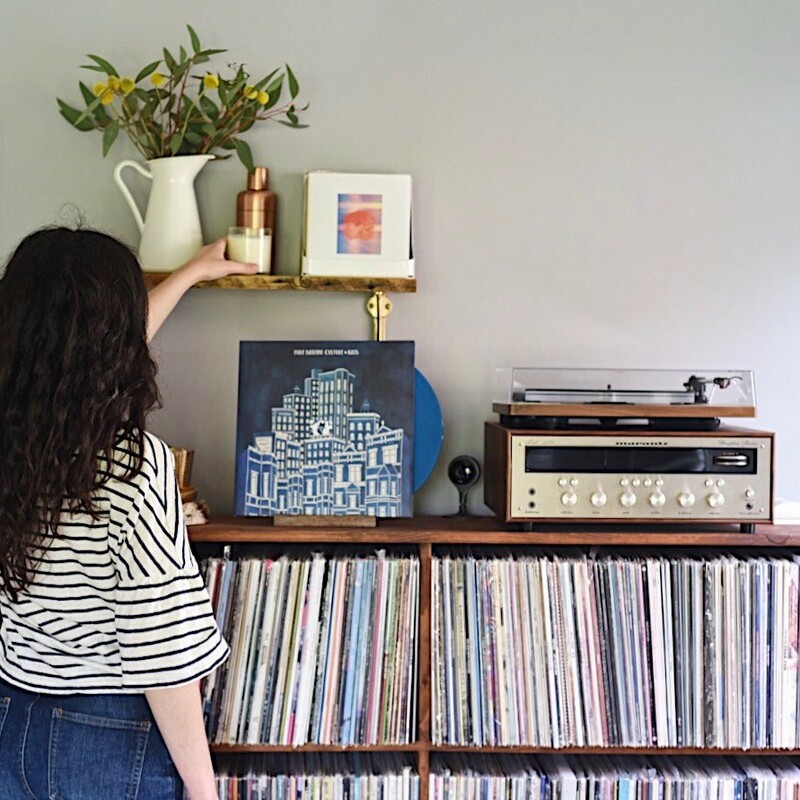 You’ve finally got that turntable set up that you were on the hunt for what felt like forever – but now what? 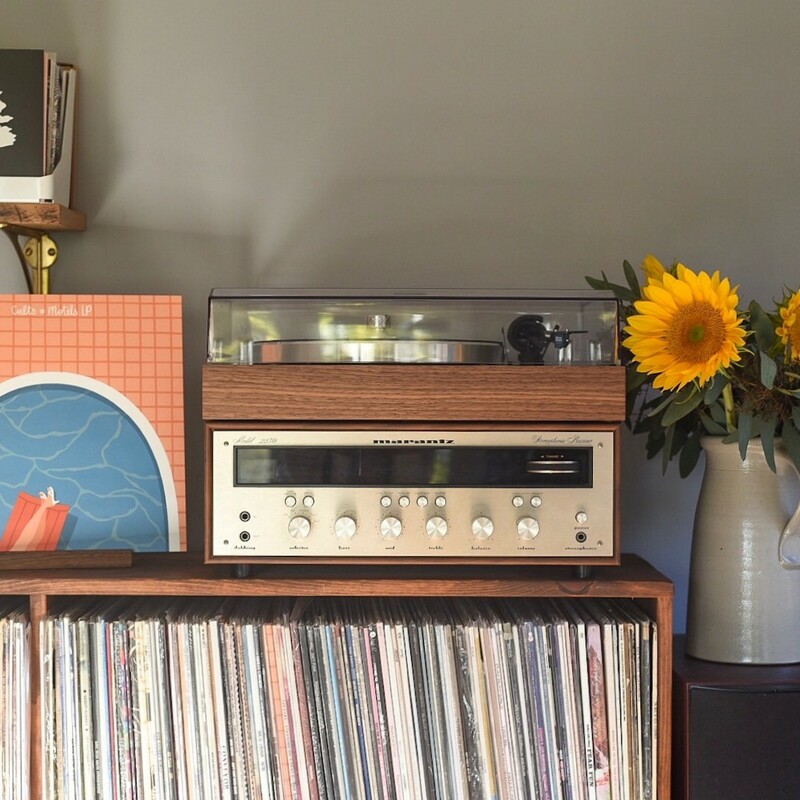 How do you take your turntable and record collection to the next level? Here are five essentials to amp up your record listening experience. Traditionally used by DJ jockeys to keep the record firmly aligned with the rotating platter, slipmats are a staple in record player collections these days. They are often used for decoration when you don’t have a record cued up and can be found in an array of colors and designs. I recommend picking up a slipmat that fits your aesthetic – whether it be a mat for your favorite independent record label, record shop, or band. Music in records can literally be felt by running your finger along the grooves of a record and those grooves can easily become filled with lint and dust. You’ll want to keep a record brush handy at all times to remove any build-up on the record and guarantee it’s at the best sound quality it can be. There are endless products out there for cleaning your records so make sure you pick out the one that fits your needs – whether you’ll need the top of the line anti-static brush or a liquid vinyl cleaner or a simple fiber brush – will all depend on how determined you are about achieving the highest quality of sound at all times. This is an important one. It may not be your weird uncle but perhaps a cousin or some other semi-distant relative or friend. That older rock and roll dude in your family that your parents always slightly mock for never growing up or cutting their hair. There is a good chance that relative has a record collection sitting around in their attic and it’s probably up for grabs. Yes, the majority of the records will probably be pretty wrecked or not very good but there is usually always a handful of the classics in every old record collection and those are the gems you are looking for here. The easiest way to expand your collection is to seek out these ‘attic’ finds which family and friends will be more than happy to let you take off their hands (“Oh those old records? They weigh a ton – I have no use for them at all. Do people still listen to those things? ?” is probably the conversation you’ll have to endure to get to them but it’ll all be worth it). Looking for new music? Look no farther than 45s; they are a dime a dozen (almost quite literally at most record shops) and usually always host a few old songs you’ve never heard of. As with your relative’s collection, there are going to be some duds but they are so cheap that you can easily buy a handful and pick out the gems from the batch. Record shops will often host ‘grab bags’ with 45s as an attempt clear out their shop and sell them for super cheap.I recommend picking up a few grab bags for under $5 and spending an evening with a glass of wine (or beer or liquor) and your record player to get inspired with some long lost music. 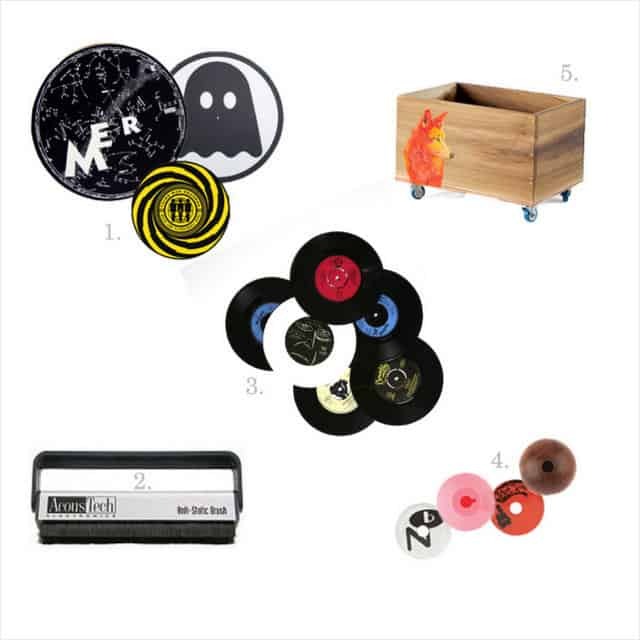 But first you’ll need that little plastic or metal 45 adapter to be able to play them on your turntable. Nothing says ‘I don’t care about my record collection’ like leaning them against your floor. Okay, that’s probably not true but it is always nice to have a small crate to keep them organized and easily accessible for friends to browse when they’re over. You can go really cheap here by just asking your local grocery store if they have any spare ones or find all sorts of high-end designer crates for the classy lifestyle you live. If you’re looking for something more in the middle then visit a local record shop where they usually sell used crates, new crates, and record cases for a decent price.